Yesterday was one of those amazing sunny spring days with no wind perfect snow conditions, lots of friends hanging out hiking and riding, laughing and eating and drinking! 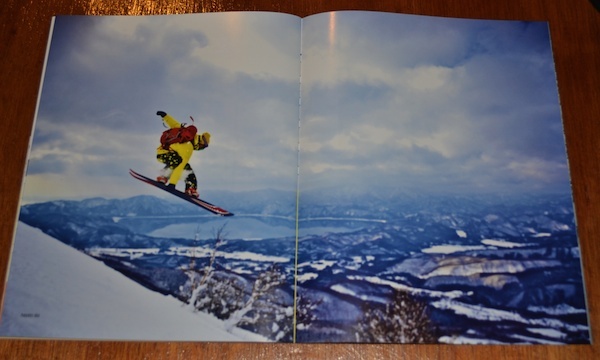 Good times for sure here at Nagano’s Tsugaike and Bluebloods Fundays. We partied afterwards at Hakuba’s famous Yakiniku joint, Miyama! So this morning was kind of slow as we cleaned up and tried to clear the alcohol from our bodies. So this photo report come a little late, but maybe you already saw some shots on my Facebook wall. Staying a few more days here in the Tsugaike area to try to shoot some more photos with the Blueblood team, then it will be off to Tokyo for an event before heading back to Sapporo. Fun day today at Tsugaike Blueblood event! Snow, sun, clouds and more snow, the weather can’t seem to make its mind up, but who cares everyone had fun anyway. Check it out. Tomorrow one more day, should be sunny tomorrow stop by if you are in the area! Free Yakisoba, cheap beer and good times! 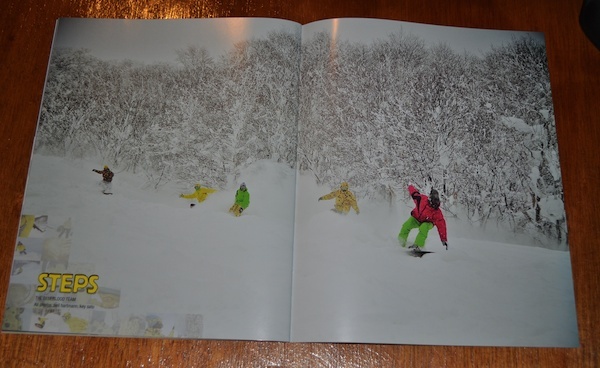 Unbelievable snow today in Nagano’s Tsugaike resort! We rode high season like powder all morning! So epic! April 6th! What a day! It snowed heavily all morning here in Nagano prefectures Tsugaike Kogen. more than 20 cm of heavy powder at the bottom of the mountain by noon. The course for this weekends event was pretty much done yesterday, so we spent the whole day trying to pack down and clear away all this new fresh snow! This always seems to happen every year…. Anyway it is starting to look good. A snake pipe/bank section and great looking bowl at the bottom. 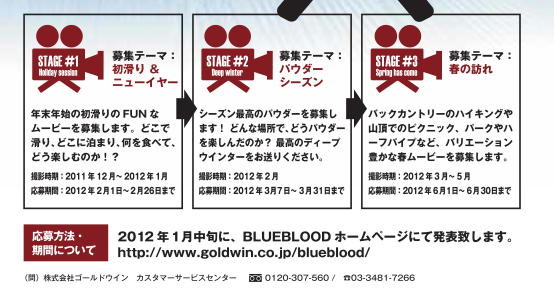 Check it out, I have started a new project for 2012 together with Blueblood here in Japan. 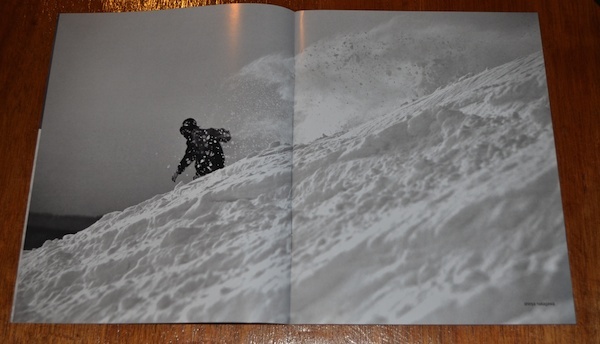 WE WANT YOUR FOOTAGE of snowboarding! 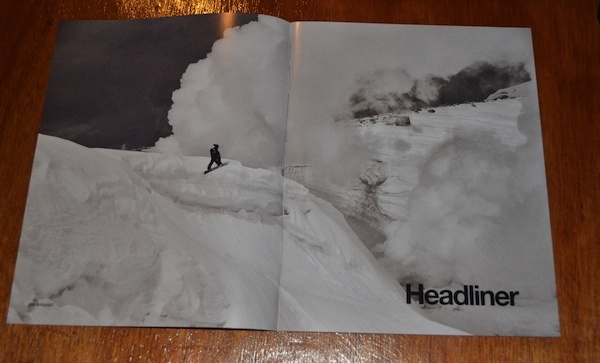 Shoot yourself, your friends, your dog snowboarding whatever, then post it to YouTube or Vimeo and send us the link. 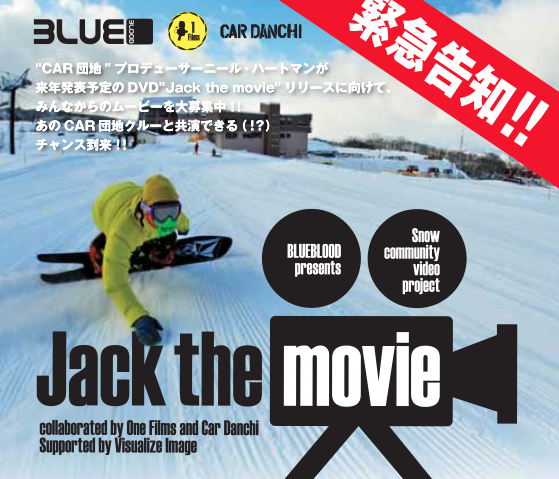 If selected your footage gets used in a new movie called “Jack the Movie” to be released next year. Check out the details on the flyer below then get out there with your camera and get some shots over the New Year holidays! One Films joins Higashida Tomohiro live! This is still a month away but thought I would get the info out early for the early planners! 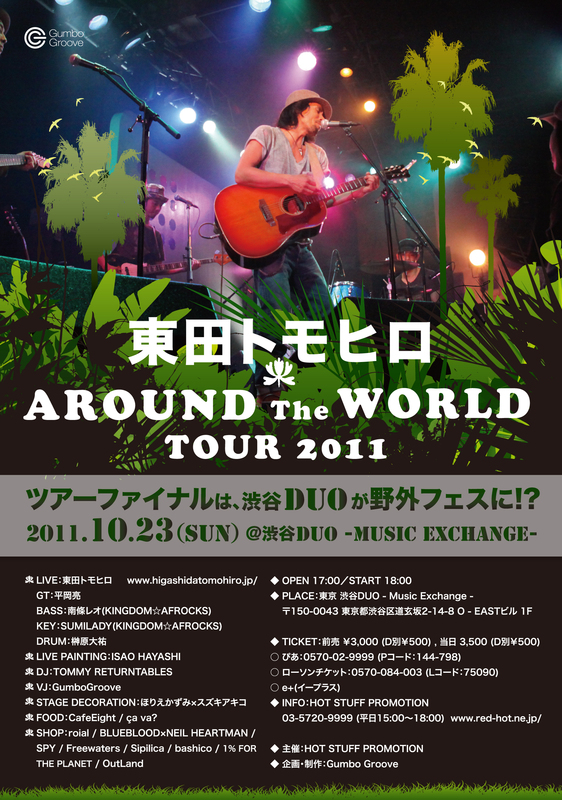 One Films and Blueblood will be teaming up to create a booth at the Higashida Tomohiro live concert event in Tokyo October the 23rd! This is going to be a fun show and I am planning to be there. 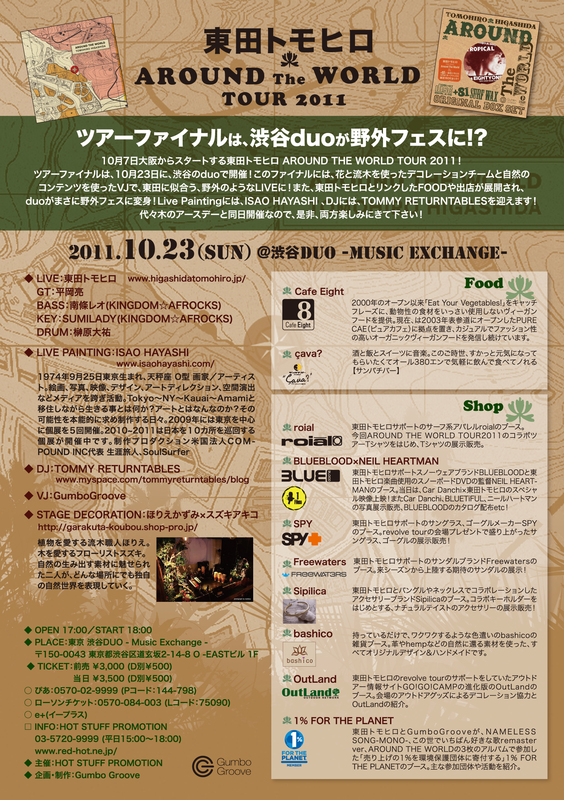 Will be selling copies of Car Danchi 5 and hope to display and sell some original photography. Check the fliers below for more details, spread the word! 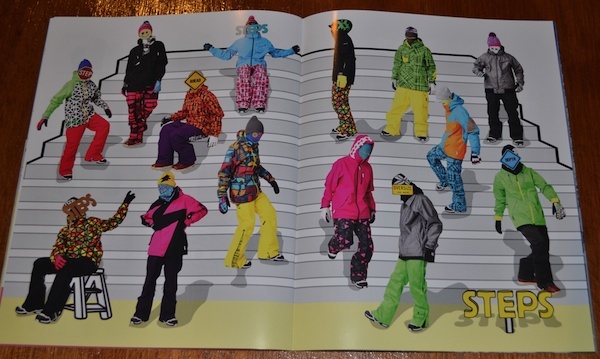 This catalog made its debut in Japanese snowboard shops a few weeks ago, but I was to busy with the editing of Car Danchi to blog it up. 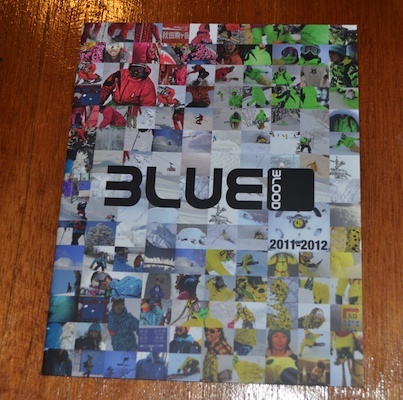 Quite proud of this one, I think it is the best Blueblood catalog to date! We have been at it for ten years, so this is a special one for sure. 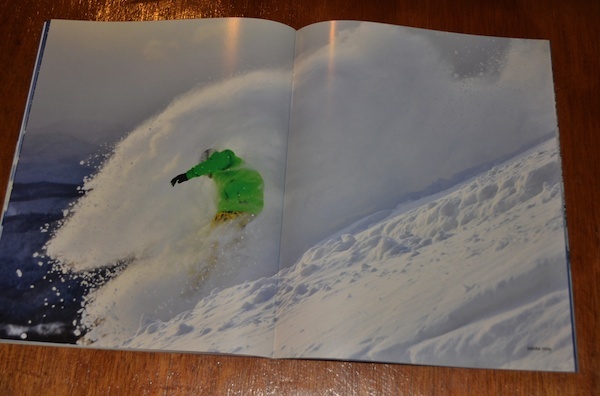 Nice photos, nice paper, nice size, if you find one at a snowboard shop near you grab one. For a list of shops around the country check the Blueblood website here. All photos by Neil and Key photo!